The designers at Roberto Coin showcase this amazing diamond twist necklace. Each link is crafted in 18kt yellow gold and twisted to slightly resemble a dog bone. Along the 16" length of gold chain, delightful white diamonds set in 18kt white gold are delicately placed. 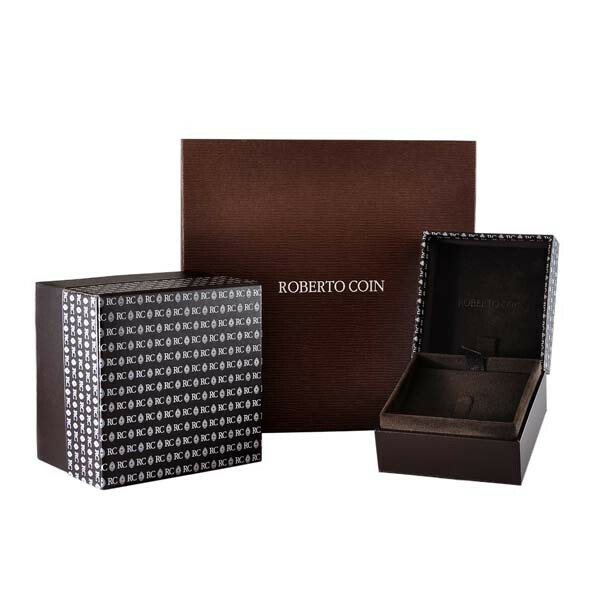 This Roberto Coin necklace will add a little touch of elegance to each outfit you pair it with!